Celebrate Mothers Day in style with this gift of Attractive Gifts Specially Meant for Mummy and win the heart of your mother. This is 1/2 Kg. Assorted Sweets from Haldiram / Reputed Sweets Shop with 18 Red Roses Basket. 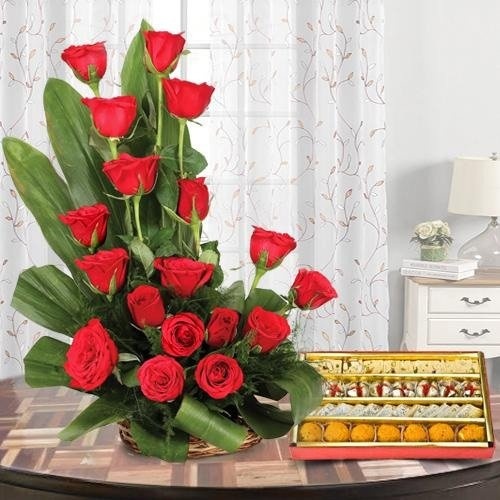 The Red Roses are beautifully arranged in a basket and the sweets are really tempting. A gift which is really hard to resist.